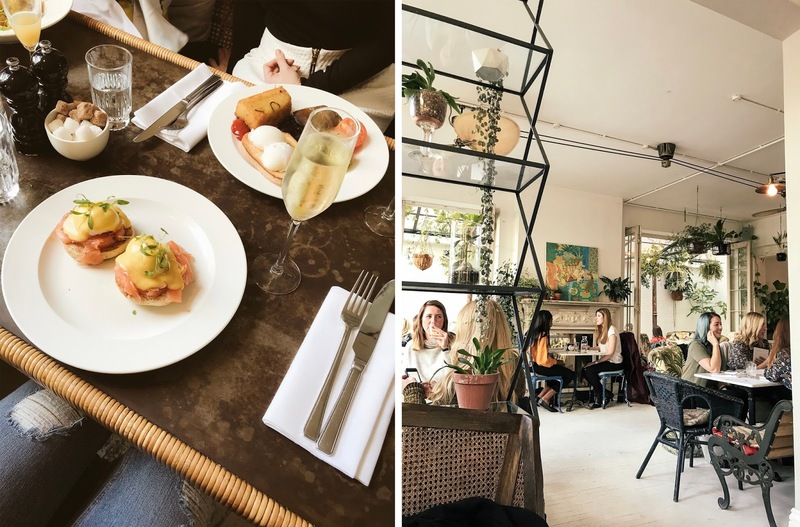 I've been living, working and passing by London for the last 10 years - I think I might just say this is a very well tried and tested lil' guide that all the places you're about to hear about are FAB not only for an instagram photo but the food and drinks too. 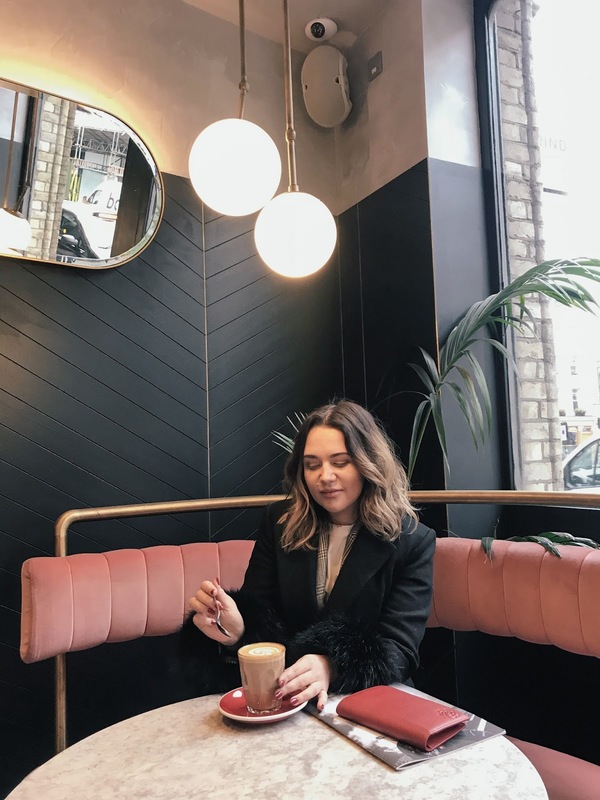 Whether you're a Londoner and looking for a great-looking spot to take your client to or you're a newbie in the city and would appreciate some guidance to make the most of the city. So here we go, charge your camera, make sure you're hungry and let's do this. 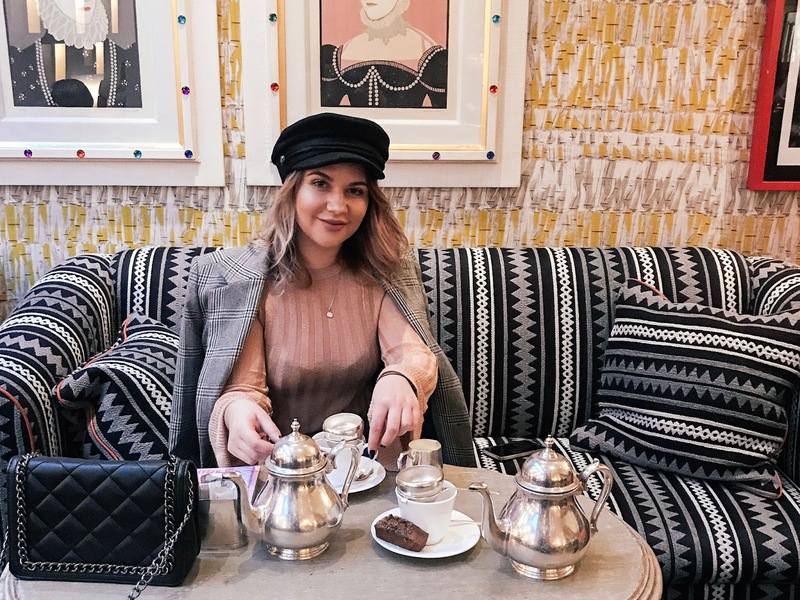 My first time at Ham Yard Bar and Restaurant was at a brand event, they had a great downstairs space for hires which was all fully booked up for LFW. 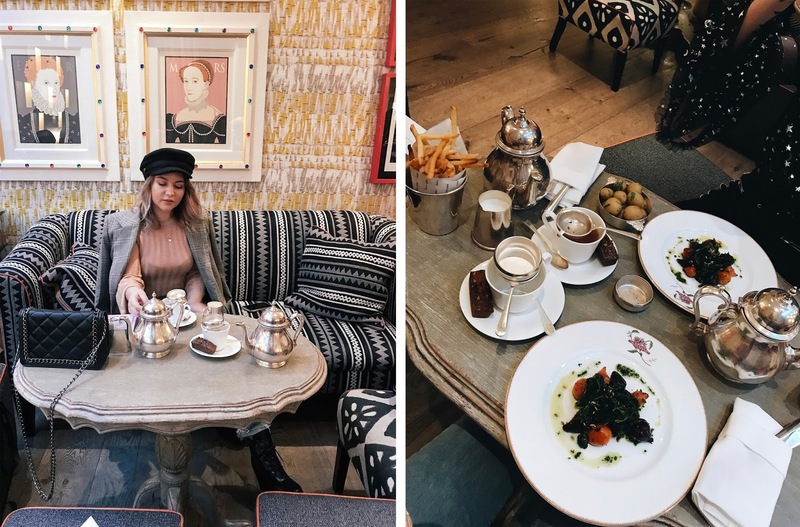 Ham Yard restaurant is based upstairs inside Firmdale Hotel on your left as you walk in. The place strives on having the freshers and very British food on the table including wines, english breakfast teas and delicious small plates. The most exciting part about this place is their award-winning 'Afternoon Tea Menu' it arrives on the most luxurious metal plate / stand which can be saviour or sweet - you decide whether you want scones, cakes, red bubbles or tea pots with it. 100% my next destination to have a meeting at with a client to enjoy the Afternoon tea & stuff myself with mini cakes. 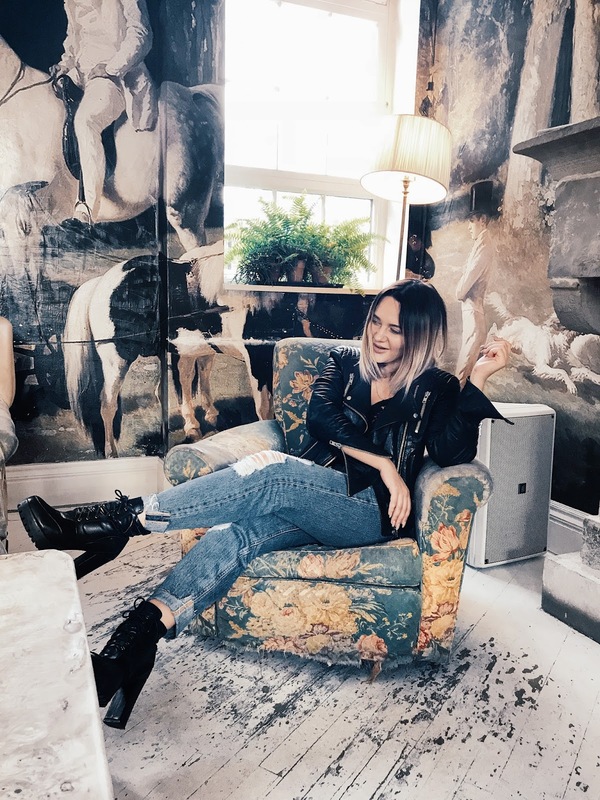 The Churchill Bar & Terrace is such a hidden-gem that you simply wouldn't know it existed unless you 1. visited the hotel or 2. you've found it on Instagram. It's such a special little find that I couldn't wait to share with you (well I did on Instagram already but you know what I mean). The restaurant promises delicious farm-to-table inspired by the Kent countryside, bottomless weekend brunches and of course here comes another 'Afternoon Tea' spot (yay). I was meeting up with one of my blogger / photographer friends and we just wanted a quick coffee and I snacked on some Pate on fresh bread as a starter which was delicious I had to ask for more bread cause I'm so cool like that "(I love fresh bread). A couple next to us ordered some oysters on a metal plate stand - so you know, whatever floats your boat, pretty sure they've got the food and the view for that photo. Yes that is bottomless prosecco and peach bellini's all day long. I mean, you probably won't be able to keep a table to yourself all day as they're pretty booked up but you get the drill. My first ever visit at Bourne and Hollingsworth was a year ago when I came to a beauty brand Event ( I think it was Caudalie) it was so much fun we did a 'plant building' class and it was a great event as overall in a beautiful space, it took my heart. 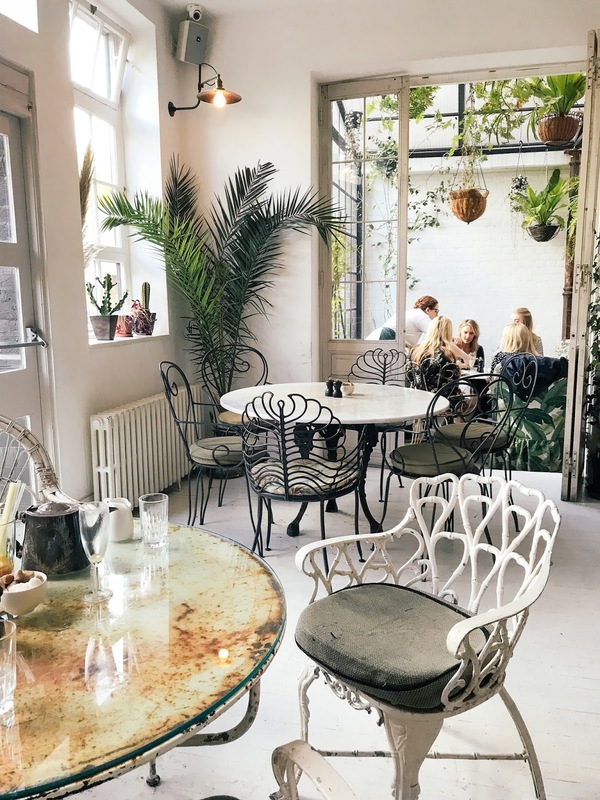 It's a multi-faceted clubhouse in Clerkenwell, just off Exmouth Market, with a cute restaurant area, greenhouse, cocktail bar, cookery school and late-night drinks too. 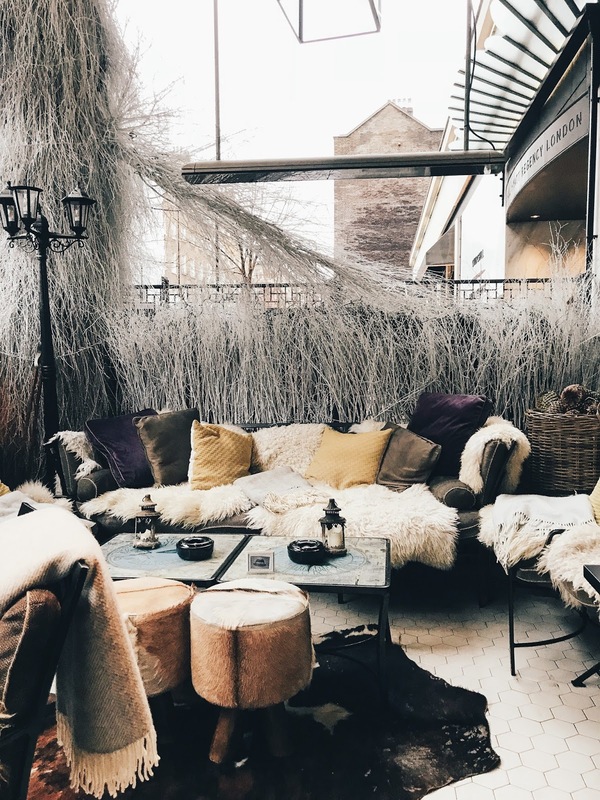 My last visit here was with my Uni girls, we was looking for a cute comfortable place, good location for all and something fun such as a bottomless brunch on a Saturday! Whether it's a client meeting, Valentine's date or a brand event I promise it will be special. 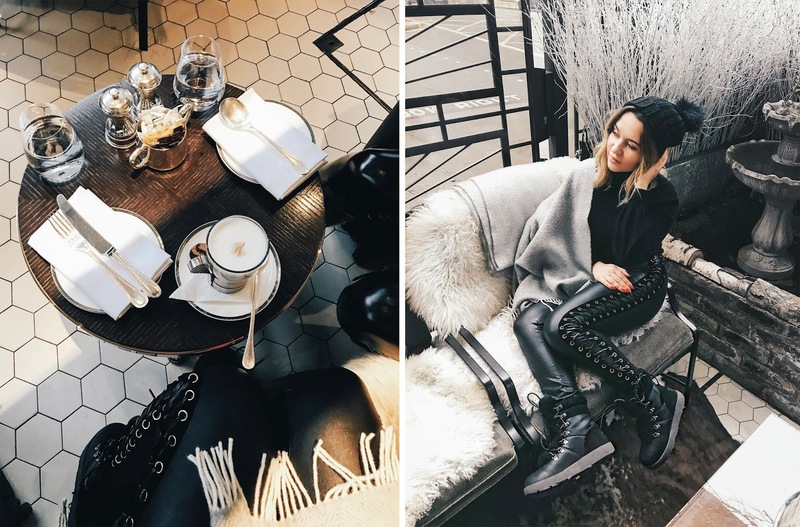 I had my very first blogger meeting here at The Hoxton Grill, well I called it a meeting. For me, it really was super exciting, I remember it was around 3 years ago and I was super nervous. It was just a meet to discuss my upcoming plans on my blog / instagram and she gave me some free products too as a thank you - which I was SO happy about, I mean at that point I literally had never met anyone from a PR agency in person so yeah, it was quite a big deal. 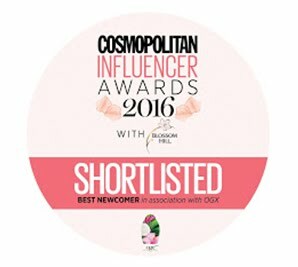 So this is a place every blogger, every PR girl and every business person will know about! It simply provides exactly what you need a comfortable sofa, a fire place, some plugs and oh the most important thing free internet! So you can only image how it's so convenient to not only work from there, you also get tasty breakfast and lunch menus. It's my absolute go-to when in Shoreditch (or there's one in Holborn too!) whether I'm meeting a friend or a client. As well as a pretty working space and a restaurant downstairs, it actually is Hoxton Hotel. 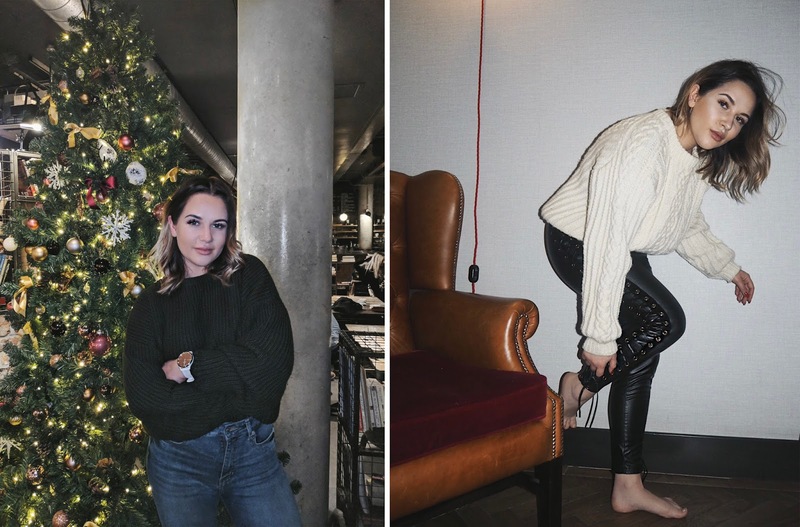 You can stay in one of their pretty rooms overnight, I've snapped inside their rooms before too - it had a V vintage yet luxe chair in the room so I literally took around x3 different photos next to it and spammed you on instagram, oops. Last but surely not least The Clerkenwell Grind is my go-to coffee spot a few minutes walk from Farringdon station. 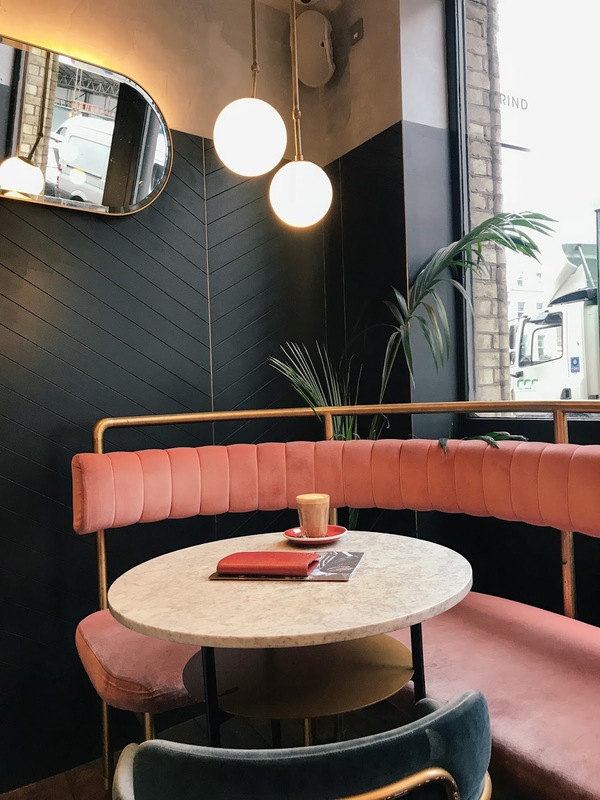 It's a little gem for perfect coffee photos (and the coffee itself of course) the pink sofas and plants got me. I heard that they also turn into a little after-work drinks and do tasty cocktails - as I'm yet to come down and experience those. I actually found out about this place via my INTO App which is a private little space for agencies, signed-talent and influencers. It's actually an amazing app I've had it for over 3 months and it's now my one and only app when on the go. Everywhere I go I always double check on the INTO map what's around, you can get free coffees, brow treatments, cocktails and more in return of coverage for the brand. If you're interested simply download the app and register your interest. I hope you enjoyed this post and do let me know if you would like to see more of these as I actually really enjoyed putting this together. 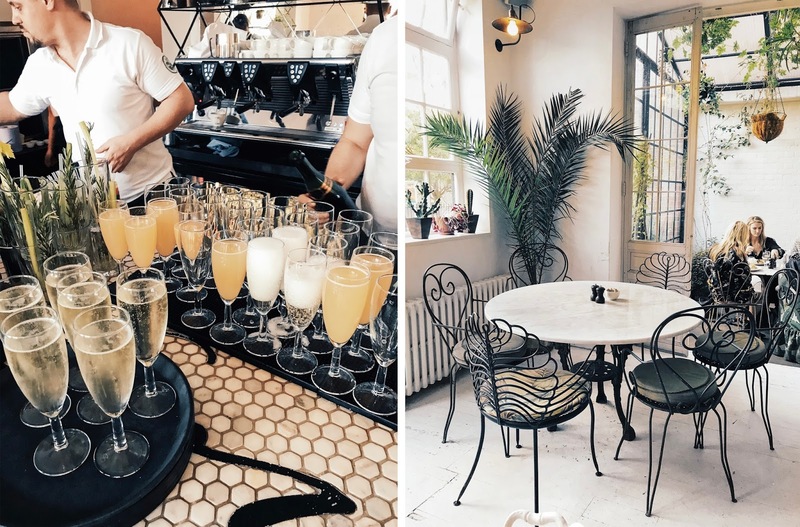 What's your favourite brunch spot in London? Let me know in the comments below!